Golden jojoba carrier oil is an anti-inflammatory oil used to nourish, moisturize, protect and heal the skin. Jojoba absorbs easily into the skin and does not leave a greasy film. Jojoba Oil is used in the making of many products due to natural vitamin E content which extends the shelf life. Due to moisturizing benefits of Jojoba oil you can blend with essential oils, massage oils, bath products, multi-base lotion, soaps, shampoos, conditioners, lip products, hair oil and more. We use Jojoba as a carrier for our fragrance oils when making them into roll-ons that are to be used directly on the skin. When added at .33% Jojoba does not change the strength or quality of the fragrance oil. Jojoba is very easily absorbed into the skin and therefore when blended with our fragrance oil for use directly on the skin does not leave you feeling greasy or oily. We only add Jojoba to our fragrance oil that is going to be used directly on the skin, all of our fragrance oils are full strength undiluted/ no carrier oil. Jojoba oil (Listeni/həˈhoʊbə/) is the liquid produced in the seed of the Simmondsia chinensis (Jojoba) plant, a shrub, which is native to southern Arizona, southern California, and northwestern Mexico. 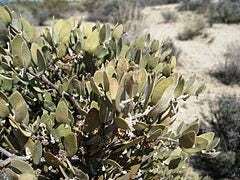 The oil makes up approximately 50% of the jojoba seed by weight. The terms "jojoba oil" and "jojoba wax" are often used interchangeably because the wax visually appears to be a mobile oil, but as a wax it is composed almost entirely (~97%) of mono-esters of long-chain fatty acids and alcohols, accompanied by only a tiny fraction of triglyceride esters. This composition accounts for its extreme shelf-life stability and extraordinary resistance to high temperatures, compared with true vegetable oils. In 1943, natural resources of the U.S, including jojoba oil, were used during war as additives to motor oil, transmission oil and differential gear oil. Machine guns were lubricated and maintained with jojoba. Unrefined jojoba oil appears as a clear golden liquid at room temperature with a slightly nutty odor. 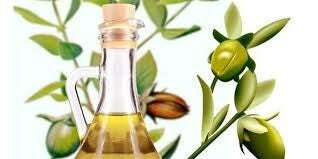 Refined jojoba oil is colorless and odorless. We use calculated shipping. Shipping is based on size and weight as well as destination. The photos that we use for our oils are stock photos. They represent the fragrance or oil not the pictured product. It came very quickly and exactly as advertised!